Ground-breaking digital publisher Madefire, whose creator roster includes Brian Bolland and Dave Gibbons, has just launched its first talent hunt. "Here’s a chance to get a paid gig alongside some of the greatest names in the imaginative arts industry," enthuses Madefire’s Chief Creative Officer and creator of Captain Stone is Missing… Liam Sharp. "Madefire is looking for a horror illustrator for a story that will go live on our 5-star rated app at Hallowe'en. 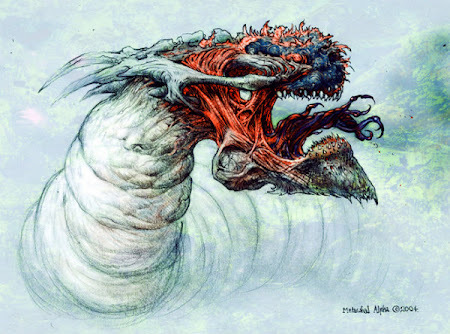 The creature in the story is a Metawhal Alpha." (Drawn by Liam, above). Go and check out the rest of their website and/or iPad app to get a feel for what they’re creating. To be considered, don't send Liam direct messages, including via DeviantArt: submit your work to Madefire at: contactATmadefire.com. The portfolio submission period won’t last for more than a few weeks, as they want to select an illustrator in time for a finished title to go live end of October 2012. "We can’t reply to everybody, so would appreciate it if you didn’t chase us up," says Liam. "If you’re the lucky chosen artist we'll be contacting you. However, even if we don’t contact you this time, it doesn’t mean we don’t love your work, and you may well find yourself being contacted for other projects in the future — we have a lot of material lining up over the coming weeks and months." Launched earlier this year for iPad, Madefire's aim is to give creators a strong platform for their own storytelling and revolutionize how stories are told, read and shared, transforming a once static medium into an "interactive experience" that unfolds dynamically on mobile devices, and evolves with each new episode. The company has developed a Motion Book Tool to make all this possible and to give new creative freedom to the world’s most visionary creators and storytellers. 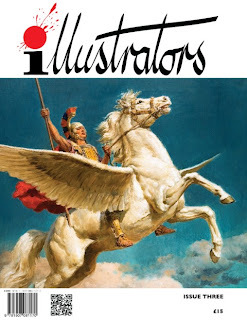 Artist Peter Richardson is the editor of the new quarterly journal, illustrators, covering British and European comic, newspaper and magazine artists which is published by London's Book Palace Books. Peter spoke to Jeremy Briggs about the publication, how it came about and his plans for future issues. 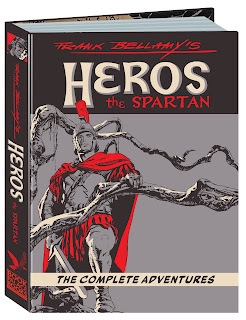 downthetubes: Where did the initial idea for illustrators come from? Peter Richardson: Geoff West, the Svengali-like genius behind Book Palace Books, was the man that initially mooted the idea. I had produced a hefty volume for Book Palace Books devoted to Ron Embleton's Wulf the Briton and was also working on a book devoted to the art of Denis McLoughlin and I think that Geoff began to get excited at the thought of producing a quarterly journal devoted to the best of UK and European illustration over the last 150 years. The rationale was that there was an evident yawning gap in the market, which in a way was underlined by Dan Zimmer's Illustration quarterly, which is largely confined to great American illustrators. We wanted to produce a journal with equally stunning content, sharing the great UK and European illustrators with an international readership. DTT: What is your background and how did you get involved with illustrators? 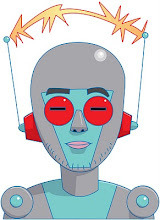 Peter: I have been working as a freelance illustrator all my adult life and have worked in a wide variety of media. I've taught illustration and generally been able to immerse myself totally in a job I find immensely rewarding. I got involved with illustrators because I've known Geoff for many years. I had started buying books and comics from him in the late 1970s but we got to know each other in the early 1990s when we would meet for lunch in some trendy London eatery and compare notes on various aspects of trash culture. These meetings reached their nadir when, on one occasion, the waitress had to ask us if we wouldn't mind moving our Swoppets off the table so that she could serve our food. So we have known each other a long time and when I started blogging a few years ago I think that also acted as a catalyst for my publishing activities with Book Palace Books. illustrators itself has been in development for well over a year. There has been a phenomenal amount of work involved in getting this publication to a point where we felt confident enough to go to press! DTT: What is the format of the journal and what sort of subjects will it be covering? Peter: The format of the publication is crucial and we’ve devoted a lot of time into getting it right. This involved a certain amount of trial and error and running page layouts past a variety of people, several of whom included designers, typographers and art directors, including our associate editor Bryn Havord, who was a visionary and influential Fleet Street art director, in order to get the thing just as we wanted. The most important thing to bear in mind with a production like this is that less is more. If as a reader you are overly aware of the design of each spread then you are not getting the full impact of the artwork. Our style is simple and clean with dynamic layouts and easy to read typography, providing an enjoyable and stimulating experience for the reader. The subject matter is as it says on the tin, illustrators. The fact that our remit is so definite, and the material we can focus on so infinite, allows us to be very creative in terms of what we present. 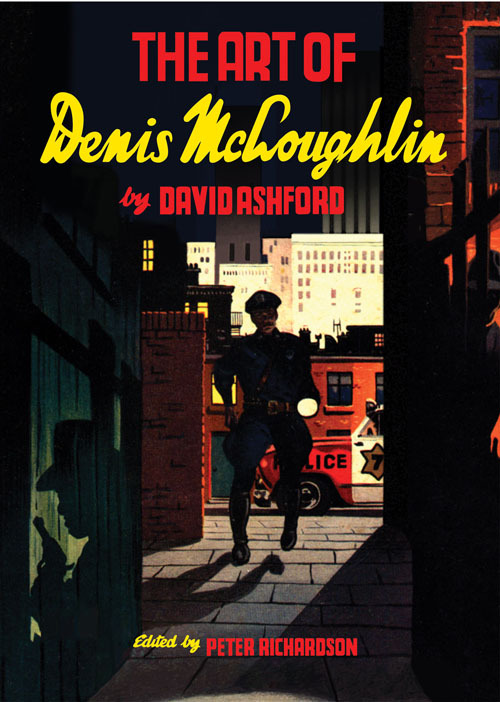 In issue 1 we feature the art of Denis McLoughlin with a beautifully written and compelling profile by his friend and biographer, David Ashford. It features some superb reproductions of McLoughlin’s hard-boiled fiction covers, as well as a lot of his western themed work, much of it scanned from the original boards. 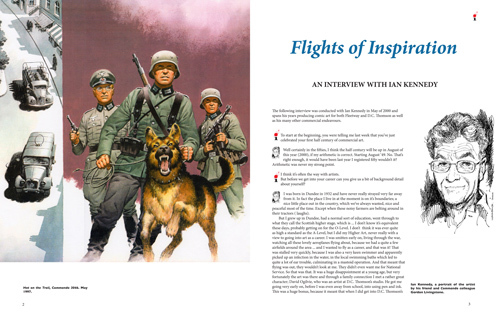 In addition we have an interview with Ian Kennedy, who will need no introduction to your readers. He relates some fascinating experiences of working as one of the UK's premier comic strip and fantasy artists with both IPC and DC Thomson (with whom he continues to work as Commando cover artist extraordinaire). In addition we have a terrific feature by David Roach on the work of Angel Badia Camps, a Spanish illustrator who did much to revolutionise the romance pulp fiction artwork of the '60s and '70s. Mick Brownfield takes us through the process of creating a Christmas cover for Radio Times and the issue rounds off with a look at the work of Cheri Herouard, again penned by David Roach, who presents us with some of this Parisian artist's best ‘good girl’ art of the 1910s and 1920s. Moving on to issue 2 we have a really superb feature on David Wright, covering his life and art and featuring some stunning examples of his pin up art for the Daily Sketch, as well as the story behind his creation of Carol Day, which is often cited as one of the greatest newspaper strips you have never seen! It really was a work of genius and we are able, with the help of collectors and enthusiasts such as Roger Clark, to present the very best examples of Wright’s art many scanned from the original boards. 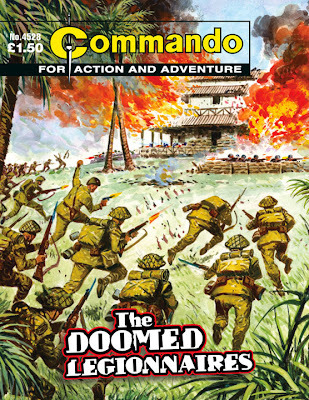 We also have features on the fabulous adventure and wildlife art of Raymond Sheppard and there's a fascinating look at the life and work of historical and boy's adventure illustrator, Cecil Doughty, whose work really blossomed on the back of the post war revival in children’s book and periodical publishing. There’s a look at the work of Renato Fratini who created some truly jaw dropping artwork during the 1960s and early 1970s for covers and film posters, including From Russia With Love. Issue 3 will include the work of one of the most remarkable illustrators ever in terms of sheer draughtsmanship, vision and powerful storytelling. I am referring to the work of Fortunino Matania who started his professional career at the age of 14 and went on to become one of the greatest historical artists the world has ever seen. In addition, he was also one of the greatest reportage artists, sharing trenches with soldiers on the Western Front during the 1914-1918 War as well as covering events such as the Coronation of King Edward VIII - which he had to draw to a tight deadline from memory as not only were cameras not allowed within the confines of Westminster Abbey for such occasions but neither were pencils and sketch books! 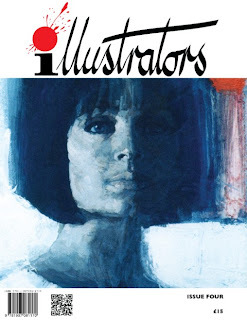 Issue 4 will feature the work of Michael Johnson who was one of the premier UK illustrators of the 1960s and has been honing and refining his craft ever since. He was part of that incredibly exciting era when it was still possible for illustrators to earn a small fortune working with visionary art directors. Our associate editor Bryn Havord, who was one of those art directors, will be penning this piece. On top of that we have a long and fascinating interview with Mick Brownfield, who has to be one of the standout talents as well as one of the most consistently high profile UK illustrators for at least the last forty years. DTT: Who will be writing for it and will the use of original artwork continue in future issues? Peter: We are very lucky as we have a really great roster of writers who we are adding to as illustrators gathers momentum. I have mentioned the two Davids; Ashford and Roach, both of whom have written some excellent features for us, and Bryn Havord, who was an award-winning Fleet Street art director who commissioned many of the movers and shakers who will be appearing over the coming years in this publication. We have Luci Gosling of the Mary Evans Picture Library who is going to be working with us as well as Brian Sibley, Rian Hughes and several other writers who we are currently sounding out, as well as your good self Jeremy. Our editorial directive is that the writers should reveal their own personal passions for the artist’s work and try to bring their subject to life. This, of course, requires research, sometimes interviews with the artist if possible and with other interested parties, but we are keen to present to the reader not simply a dry and ultimately dull list of publications with attendant dates but writing that attempts to bring life and vitality to the artists and their work. The use of original artwork and/or top quality tear sheets is an essential for a publication of this magnitude. In addition to sourcing the optimum best artwork, there is a certain amount of non-intrusive restoration involved in cleaning up old and degraded printed samples so that in each and every case we can present the artist's work at its very best. No effort is spared and the use, where possible, of original artwork is an essential part of our editorial directive. At which juncture I must mention the incredible amount of friendly and unstinting assistance we have had from collectors and galleries all of whom have provided superb scans of artwork, which will now, thanks to illustrators, be reaching a far wider audience. DTT: In addition to illustrators, what other titles are available from Book Palace Books? The most recent books include the already mentioned The Art of Denis McLoughlin, which was a real labour of love. During the course of assembling all the material for this book we managed to access material that had been rescued from an old garden shed by a member of the family, shortly after the artist's death. These included many of his working drawings for the murals he produced for the Woolwich Barracks, which was subsequently destroyed by a V1 rocket in 1944. These artworks have never had a public airing before. Aside from that we have literally hundreds of covers from his hard-boiled fiction work for TV Boardman, including for the first time ever complete indexes of his covers and all the hard-boiled paperback covers, many of which are scanned from printer’s proofs. There are also reproductions of his Buffalo Bill Annual artworks, many of which have been scanned from the surviving boards, plus superb scans of his Boardman comic work from publisher’s proofs given to David Ashford by the artist. This book is something that we are all exceptionally proud of, our only regret being that Denis himself won’t be around to see it. He was a really lovely guy and it would have been so rewarding for everyone concerned if he could have had a copy of this defining retrospective of his work. 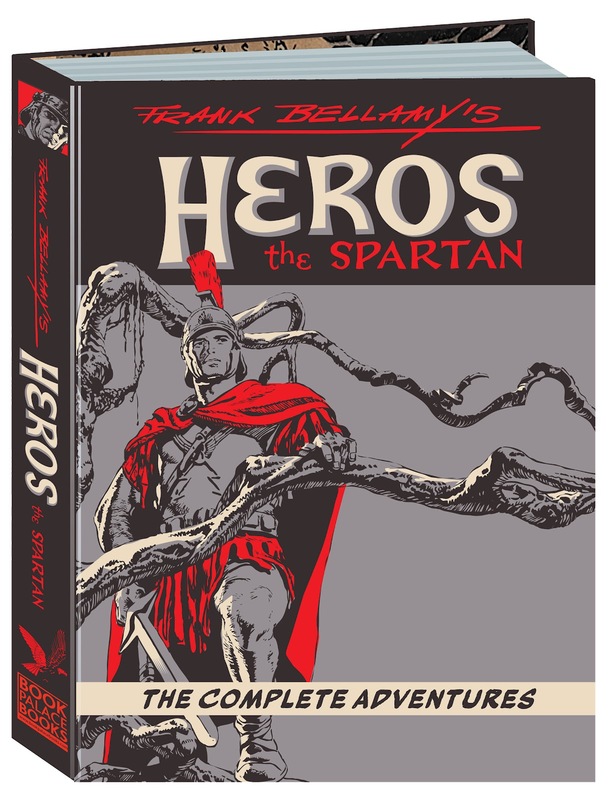 We are also working full tilt on a major project which has the working title of Frank Bellamy's Complete Heros the Spartan, it's a companion volume to the already published Ron Embleton's Complete Wulf the Briton and like Wulf will come in a regular as well as limited collector's edition. As with Wulf, we are putting a lot of time and effort into the restorations as well as sourcing some fabulous examples of original artwork in order to add that really necessary degree of contextualisation to this long overdue publishing project. DTT: The high quality format of illustrators means a high cover price. How would you go about selling it to someone who is not yet convinced about buying it? Peter: Well, it is a lot of money if you compare it to a copy of a certain weekly celeb magazine which retails for £3.95. But here's where what we are producing begins to define itself as something more than ephemera. 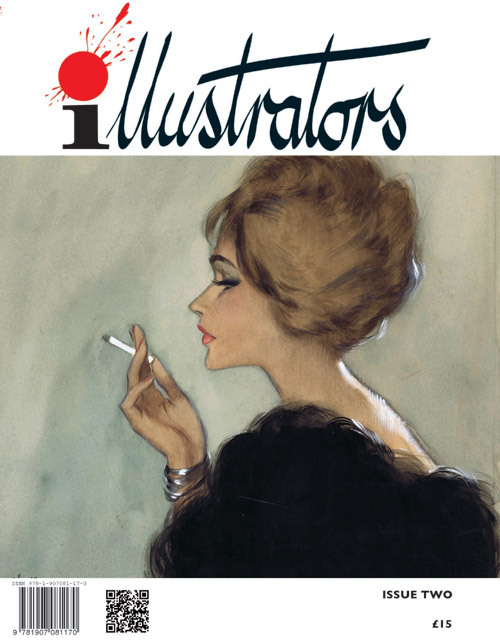 A yearly subscription to such a publication is around £75.00, whereas illustrators is only £55.00 in the UK. With the former it has a finite shelf life, something that you will be wrapping the household rubbish in after a couple of weeks. illustrators on the other hand is not ephemeral. It's a reference tool and in many cases will be the only defining source of information on a given artist's life and work. With 96 pages, square back binding, and state of the art printing, each issue of illustrators is more of a book than a magazine. It will build into a reference work dedicated to some of the greatest artists the world has ever seen. If you then compare it to some high end art journals you will then see that we are actually less expensive than most of our contemporaries. It's also worth mentioning that illustrators will not be drowning in a sea of advertising! The advertising we do carry is aimed very specifically at our readership, stuff that we find exciting and of interest and we feel sure that our readers will too. Whilst on the subject - and this is where it gets even more exciting for people involved with the world of illustration - illustrators offers people (be they artists, galleries, agents, art colleges, image libraries, you name it) the chance to promote their services for an incredibly low price via our directory listings page and the QR code on the front of each issue, which enables readers to access each advertiser’s website via their smart phone. Individual issues of illustrators are available at £15 plus postage and four issue subscriptions are available for £55 post free. An e-preview copy of illustrators issue 1 is available here. 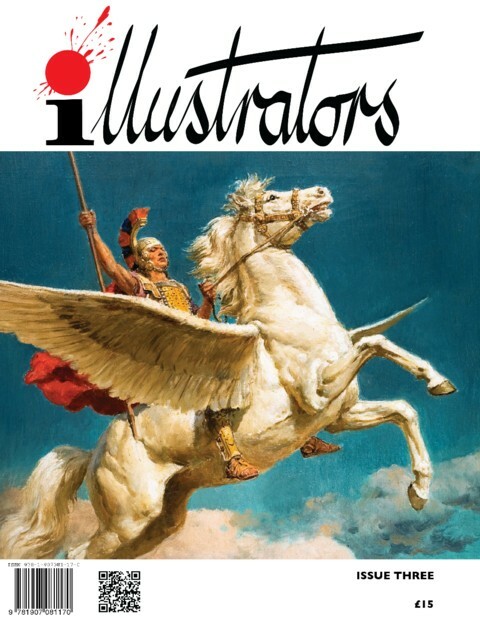 There are more details of illustrators journal and how to purchase copies on the illustrators website which includes links to various artists and comics websites, original artwork sales sites and art supplies sites. There are more details of Peter Richardson's own art on his personal website and Cloud 109 blog. 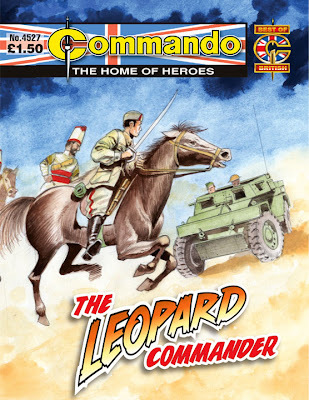 It sounded almost cute and cuddly, an Italian commander named for a big cat. But his British adversaries in East African were under no illusions. They knew that, like his namesake, he was fast, agile... and deadly! Men from all over the world, men with secret shameful pasts, men who had no place in their home countries. Here they were, gathered together to fight an implacable enemy, for a flag that was not their own. And because they were foreigners, they had been handed a suicide mission. They were indeed... The Doomed Legionnaires! 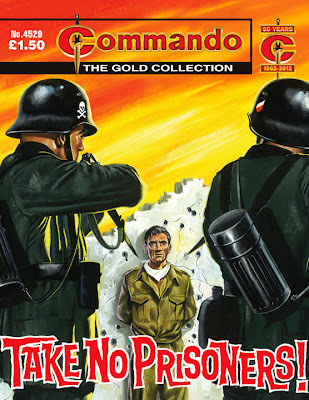 Commando No 4529 - Take No Prisoners! Ten British prisoners lay dead - shot down in cold blood. And there were no witnesses to the terrible crime. The only clue to the killers lay there in the blood-stained dust - a German helmet bearing a skull and crossbones emblem...an emblem which from that day on was to be a death warrant to every Nazi who wore it. "Ask most people about Commando and they'll tell you about nasty Nazis and clean-cut fair-playing British," suggests editor Calum Laird. "Yet this story from 1962 shows that those assumptions, like all generalisations, don't stand up to scrutiny. Sure there are nasty Nazis but after that things become a bit more hazy and there's a moral ambivalence amongst the British. "But don't let that put you off! 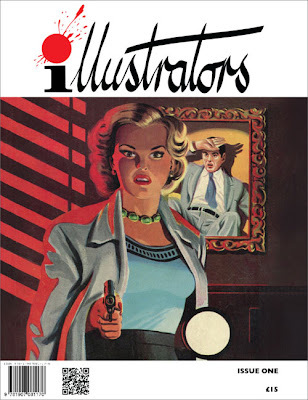 As ever, Eric Hebden crafts a great story behind Ken Barr's intimidating cover, and Casarubio's strong and confident black linework complements the atmosphere very well. "All in all, this commando takes no prisoners. Sorry." There are good deals, bad deals and deals like the one Jan de Groot made. He agreed that he would work as an agent in enemy-held territory where the slightest slip-up would lead to arrest, torture and probably death. It was going to take all his courage to keep... THE DEADLY DEAL. "Our main character, tough-as-nails Dutchman Jan de Groot is a hot-headed hero, which also makes him a flawed hero," says Deputy Editor Scott Montgomery of this story "...and this twisty-turny yarn is an excellent example of a Commando espionage story done well. "It's complemented by veteran interior illustrator Cecil Rigby's artwork, which is chock full of icy black waters and moody nightscapes. The British plastic kit manufacturer Airfix are looking for the loan of original artwork that was used for their box lids during the 1960s and 1970s for an exhibition due to take place at the RAF Museum at Hendon, London beginning in Summer 2013. 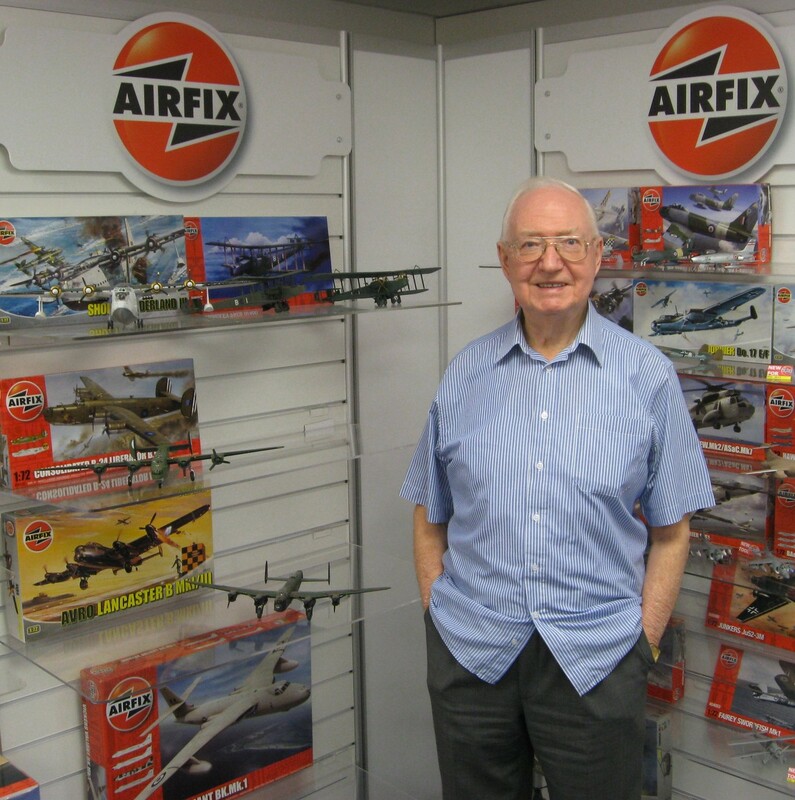 Airfix is the oldest UK manufacturer of scale plastic model kits and has been producing kits since 1952. The boom in plastic modelling in the 1960s and 1970 made the company a UK household name but in the 1980s, like comics, plastic modelling went into decline as new technologies expanded children's interests. The company passed through various owners but today it is owned by Hornby Hobbies Ltd who also own the well-known brands of Scalextric and Corgi as well as Hornby and Airfix. A big part of Airfix's success back in the 1960s and 1970s can be put down to the superb paintings that adorned their kit boxes which sparked the imaginations of their young purchasers. Ron Jobson, who is best known in comics terms as the artist of the superb Space Kingley annuals of the 1950s, painted box illustrations for Airfix while the most prolific artist working for them at the time was Roy Cross (right). Cross had previously worked on original Eagle, painting centre spread cutaways, and on Eagle's sibling Swift, painting full page front covers. A lot of his Airfix artwork is reproduced in his book The Vintage Years Of Airfix Box Art while Airfix themselves sell coasters of some of his most well-known box paintings. Like the original comics artwork of the era, much of the Airfix artwork ended up scattered and lost and while the company have access to some of it they are looking to borrow any that might be in the hands of private collectors for the RAF Museum exhibition. If anyone has any, or knows of someone who has any, and would be willing to lend the RAF Museum an original painting then they can get in touch with Airfix by e-mail at webteam@hornby.com or by calling 01843 233 500. 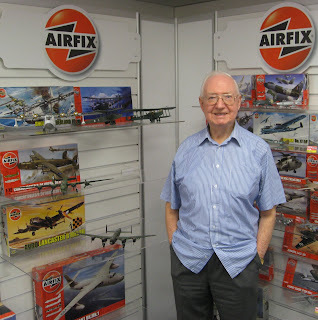 The Airfix website is here and has more details of their search for artwork here. The list of coasters of Airfix box art available to purchase is here. There are more example of Roy Cross' artwork at the Collecting Airfix Kits website which includes the original cover artwork for Swift Volume 9 Number 28 of a Supermarine Scimitar jet fighter. The eagerly awaited arrival of DREDD 3D in UK cinemas takes place on 7th September and in North America on 21st September. 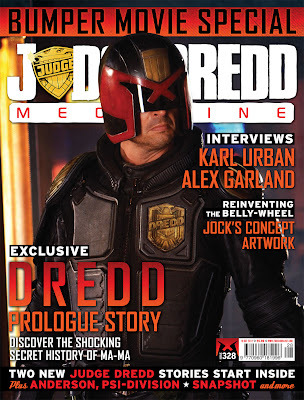 To mark this return to the big screen for Britain’s biggest comic book character, Judge Dredd Megazine #328 will be a bumper issue featuring new and exclusive DREDD movie features, interviews, comic strip, and concept art. Released on 12th September, it includes the specially commissioned DREDD 3D prologue story - "Top of The World, Ma-Ma" - written by 2000AD editor Matt Smith and drawn by fan favourite artist Henry Flint. It charts the rise of the ruthless gang leader who Dredd and Anderson must confront in the Alex Garland-scripted movie. 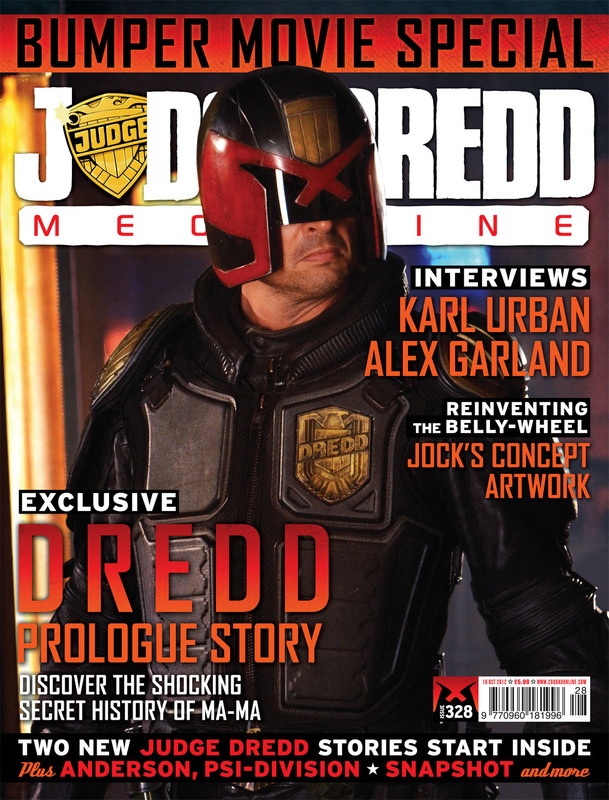 This 144-page issue also features insightful interviews with screenwriter Alex Garland and Judge Dredd himself, actor Karl Urban, as well as exclusive never-before-seen movie concept art and designs from artist Jock. Alongside this is Andy Diggle and Jock’s Snapshot, Alan Grant and Boo Cook on Judge Anderson, and Grant and Tiernen Trevallion on Judge Dredd: Ratfink's Revenge - plus the winner of the Judge Dredd short story competition! 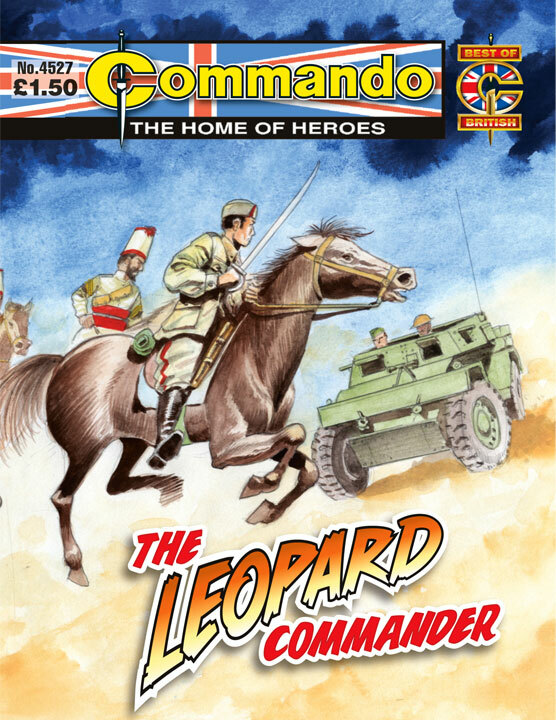 • Available from all good newsagents in the UK and worldwide online on 12th September through www.2000adonline.com on 12th September, priced at £5.99. 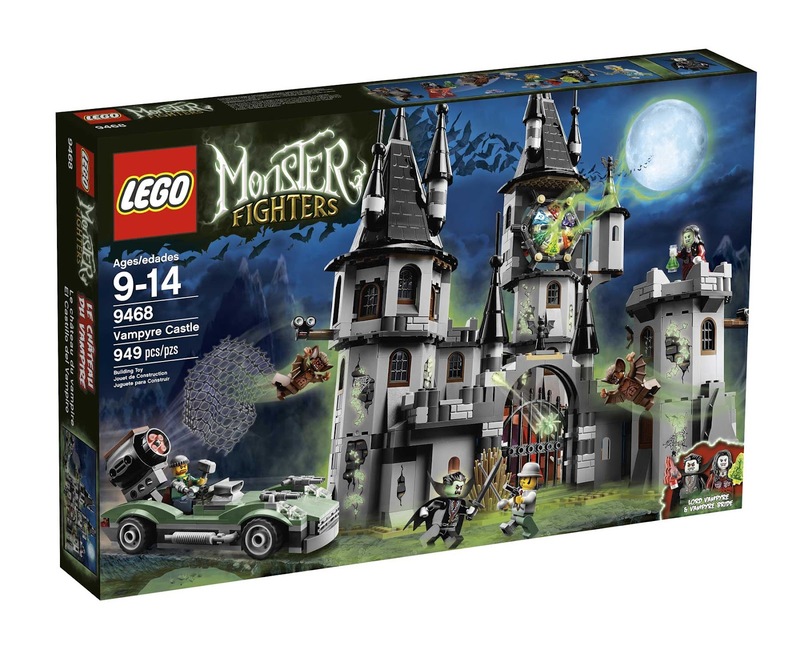 LEGO Monster Fighters: Vampyre Castle: Top toy for Christmas 2012? -- we all know that if you don't get your Christmas orders in early, some of these "must have" toys -- including the ones for the big kids who mainly read this blog -- will be hard to find. Here's a breakdown of some of the toys for the whole family that "toy experts" say look set to top the sales charts this coming festive season... Of these, Moshi Monsters of course has its own magazine, which is a darn site cheaper than some of the toys on offer, so maybe it's worth looking at that as a stocking filler. 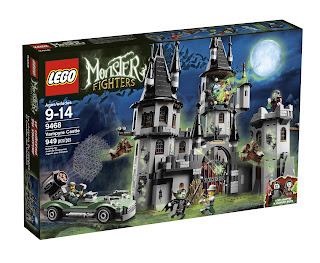 Good to see Lego still riding high -- we're sure some of you out there will be hinting for the Batcave listed, even though it was released early on this year. • The products listed above can be found at the following websites: www.lego.com, www.johnadams.co.uk, www.vividtoysandgames.co.uk, www.jaaks.com and www.tomy.co. 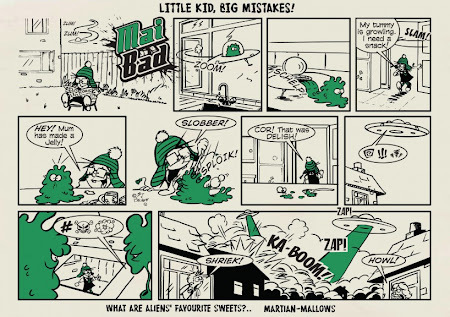 With the move by DC Thomson to online publishing of The Dandy still an item of debate by British comic fans, and with creators such as Jamie Smart suggesting the launch of an all-new creator-driven humour title, Dandy artist Steve Beckett hasn't been letting the grass go - he's only gone and started one. Steve describes CRUMBS! – The Online Story Paper as "the place to be for brand new daft comics... presented in a fun vintage British comics style, developing and growing over time and will showcase a whole host of new characters. "The plan is to give Crumbs! comic its own dedicated web site," he says, "once a substantial body of work has been produced." Right now it's a comic featuring just one artist - Steve - and it's only just begun, but perhaps other creators should drop him a line and suggest combining forces? Steve Beckett is a Grimsby based graphic designer and Illustrator with several years experience of working in a range of print and digital media. He produces vibrant and exciting design and illustration work for a variety of clients, including corporate, small business, business, publishing and charitable organisations. Current and previous clients include record labels, broadcasters, clothing manufacturers, NGO’s, shops, and both the Beano and Dandy comics. The inaugural half day MegaCon was held in Carlisle's Richard Rose Central Academy on Saturday 18 August where the hot Saturday afternoon made for a pleasant experience outside as well as inside the venue. 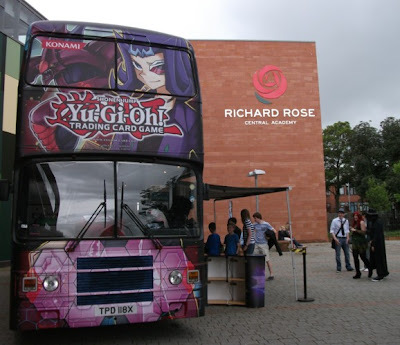 For most attendees the first experience of the day was turning the corner to find the gaudily painted Yu-Gi-Oh! Summer Tour double decker bus parked at the entrance to the school. 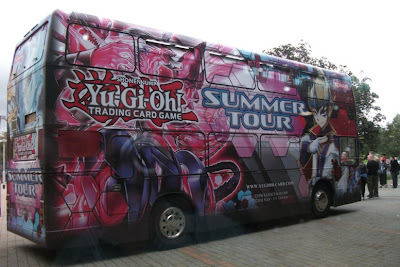 As much as it screamed "manga gaming", what event organiser wouldn't want to have something like this parked at the entrance to their event where all the cars on one of the main roads into the city centre could see it? Barely 10 minutes' walk from Carlisle city centre, the Academy is a ultra-modern, fee-paying secondary school and I'm sure that a lot of attendees' reactions to the venue would have been the same as mine - "wow, my school was never like this". MegaCon took place on the ground floor atrium of the building and on entering it felt like walking into a big new theatre complex or music venue such as The Sage in Gateshead rather than a local school. 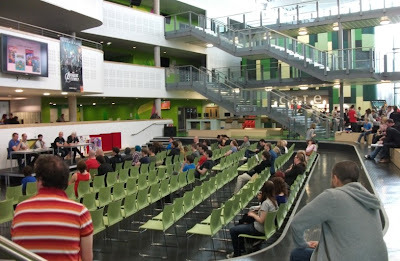 Lots of space, multiple levels with stairs and bridges between them, lots of windows allowing in the sunshine, a tuck shop in the corner that looked more like a modern coffee shop, a sunken area with a stage and full of chairs for the talks plus, on the walls, there were large TV monitor screens with the event's schedule details on them for all to easily read. The dealers tables stretched around the walls, passed the talks area and over into the far corner - there was even a radio-controlled cars section out the back door. 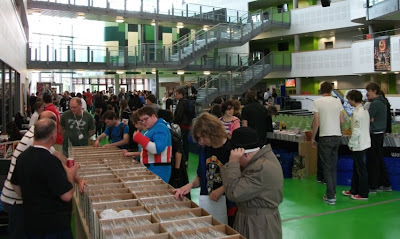 While not defined as such, the dealers area could easily have been subdivided as a Games Zone with collectible card games, video/computer games and table top games, a Shops Zone with tables populated by the organisers Waterstones as well as a wide variety of other local businesses from toys to model kits to unusual sweets, and finally the Comics Zone with selection of small press along with sales and signing tables for the comics guests. 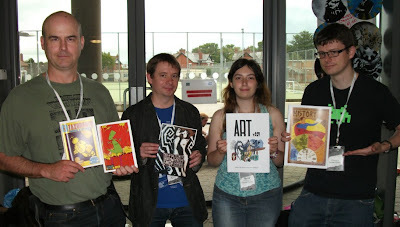 The comics guests for the day shared the common background of 2000AD with a Tharg, a script-droid and two artdroids. 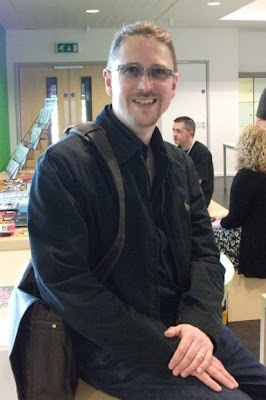 Writer Andy Diggle is a former Tharg and still writes for 2000AD although he is probably best known these days as the writer of The Losers. Andy's website is here. 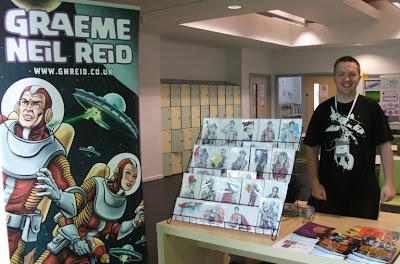 Writer Jim Alexander has worked on the Judge Dredd Megazine, DC's Birds of Prey and Tokyopop's Star Trek Manga as well as small press comics such as Gabriel for Glasgow's Black Hearted Press and Amongst The Stars for his own newly started imprint Planet Jimbot and he had a selection of titles with him for sale. Jim's blog is here, the Planet Jimbot Facebook page is here and he was interviewed on downthetubes here. Artist Graeme Neil Reid has worked on both 2000AD and the Judge Dredd Megazine, with original artwork from both for sale on the day, as well as a selection of books including Con Iggulden's Dangerous Book Of Heroes. Graeme's blog is here and he also is part of the daily Scotch Corner art blog here. The final comics guest was artist Sean Phillips, another 2000AD alumnus, better known now for his American work on Hellblazer and Criminal. Sean sketched and signed during in the afternoon as well as selling copies of his current book Fatale written by Ed Brubaker. Sean's website is here and his blog is here. 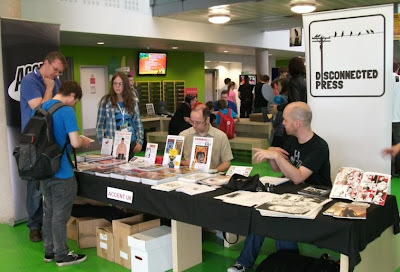 Small press comics were well represented with a selection of Scottish, Northern and Midlands titles there. 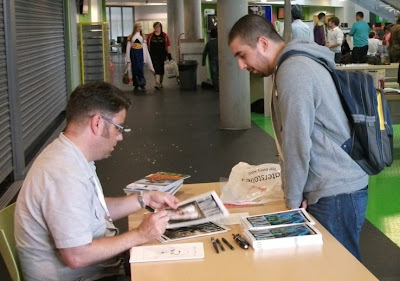 Glasgow's Black Hearted Press(above), who also run the Glasgow Comics Convention and one of the two sets of Glasgow comic marts, were represented by writer/artist Sha Nasir (left) who was sketching a selection of his Laptop Guy characters and School Of The Damned writer John Farman (right). 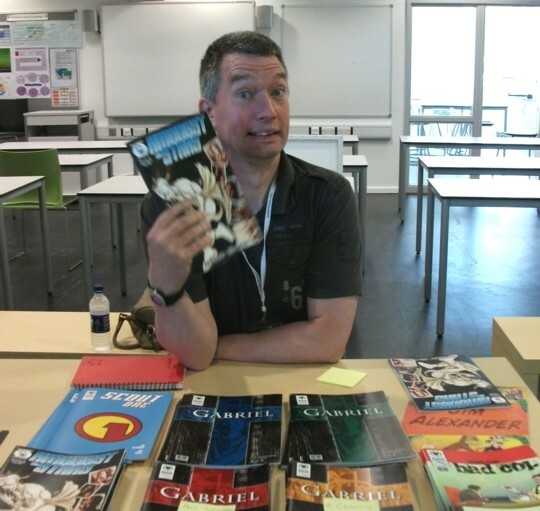 As well as selling all their current titles they also ran a comics workshop during the course of the day. Black Hearted Press' website is here and the new School of the Damned website is here. Manchester's Accent UK were sharing one of the long bench tables with Disconnected Press. Disconnected had copies of Disconnected Volume 1 plus the last few copies of their Lost Boys title along with artwork from Conor Boyle who took part in one of the talks during the afternoon. There are more details of Disconnected Press on their blog. 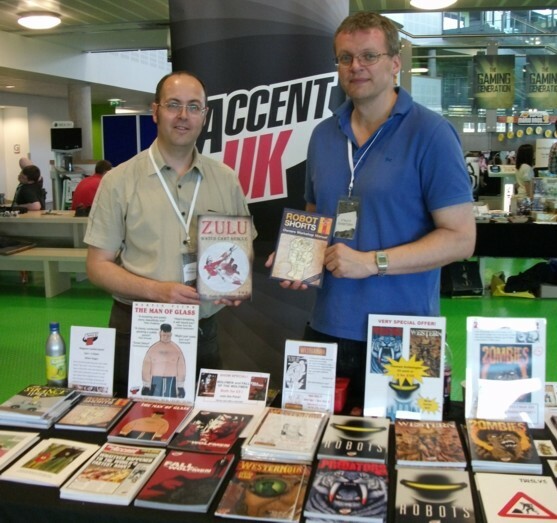 Colin Mathieson (left) and Dave West (right) were manning the AccentUK stall with their large and impressive selection of titles from single issues such as Zulu to hardback anthologies such as Robot Shorts. The AccentUK website is here and their blog is here. Daniel Clifford is a busy man writing both Halcyon and Tenderfoot and Sugar Glider. 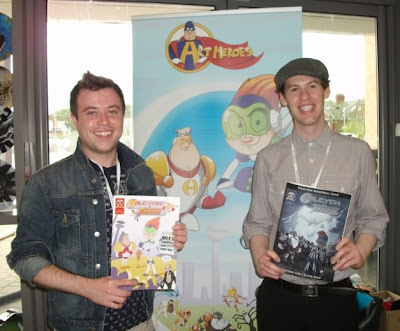 Wearing his Art Heroes hat (above right), Daniel and artist Lee Robinson (left) create and publish Halcyon and Tenderfoot as well as hosting comics workshops. 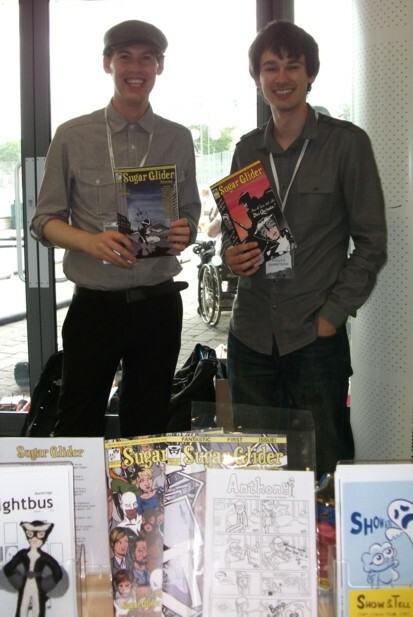 Wearing his Sugar Glider hat (below left), a hat that admitted looks much the same as his 'other' one, he writes the various Sugar Glider titles with artwork by Gary Bainbridge (right). There are more details of Halcyon and Tenderfoot at the Art Heroes website and more details of Sugar Glider at the Sugar Glider Comics website. 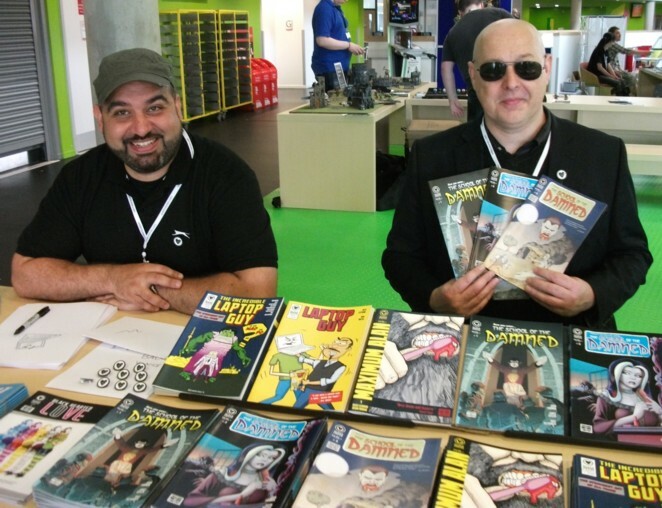 The North East's Paper Jam Comics Collective came in force to the North West with a multitude of different titles for sale. Below from left to right we have Martin Newman with Taxonauts, Paul Thomson with Tales From The Hollow Earth, Brittany Coxon with Art... And That, and James Wilkinson with History... And That. There are more details of Paper Jam and the various creators who make up the Collective on their blog. From a comics perspective MegaCon was a general event that included comics/small press in the same way that much larger multi-theme events do. The attendees seemed to emphasis gaming over whatever else was available, comics or otherwise, and there were a few puzzled faces looking around the small press tables, in the same way that some of the small pressers may have had puzzled faces looking at the Magic The Gathering or Yu-Gi-Oh tables. 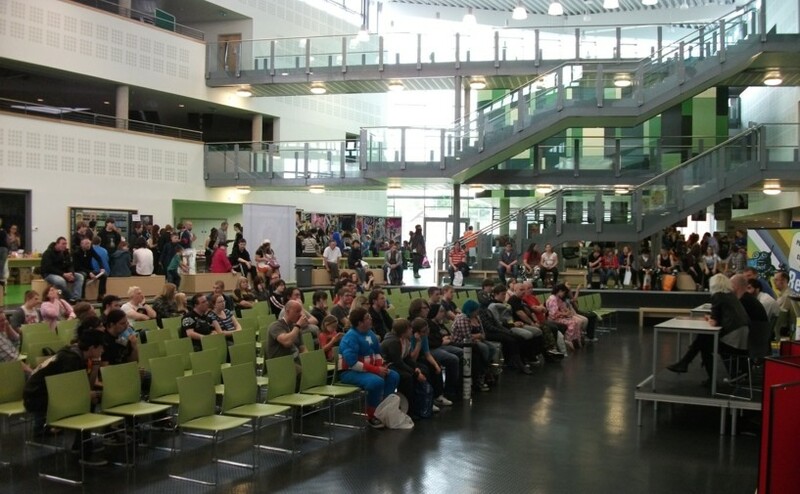 That said, with an excellent venue, guest talks, workshops, multiple gaming strands, cosplay and even (bizarrely) cake decorating, MegaCon provided something for everyone in a well run, first time event - and the buzz is that it will very likely return next year. The MegaCon Facebook page is here and there are many more photos from the event on the Waterstones Carlisle Facebook page. 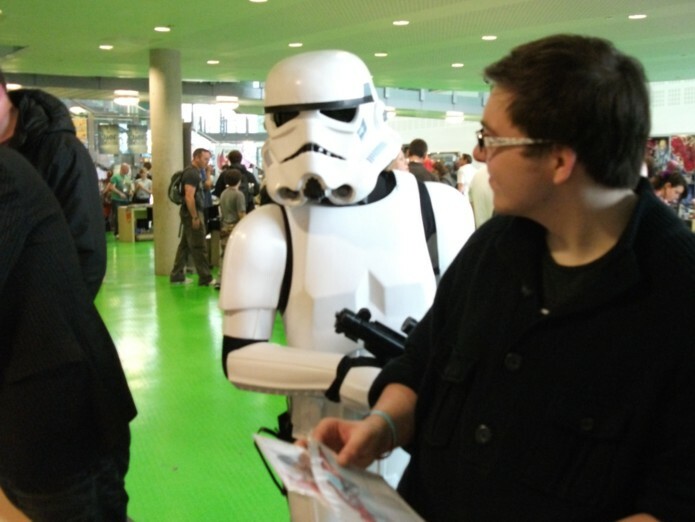 The MegaCon organisers talked to downthetubes before the event here. Panel Nine, the "deluxe digital graphic novel" publisher, is giving away an original page of black and white artwork by V for Vendetta artist David Lloyd. 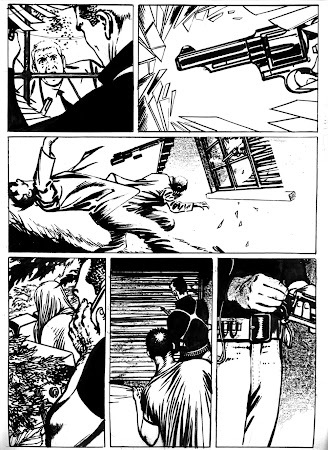 The artwork is taken from from the Kickback graphic novel by Lloyd, recently re-published digitally for the iPad. 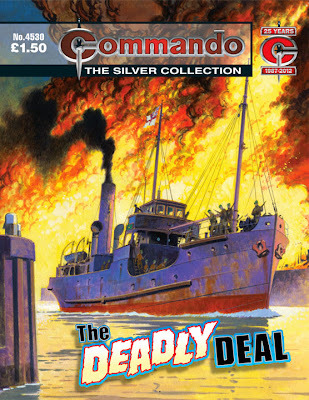 Panel Nine Publisher Russell Willis noted: "This is a rare opportunity to get a fabulous piece of original comics artwork by renowned artist David Lloyd. Kickback is a memorable work that is now getting the attention it deserves. It is a brilliant crime-noir thriller by a modern-day master of sequential art." To enter to win this awesome piece of original artwork, just download and subscribe to INFINITY (itunes link), a free iPad magazine about digital comics and graphic novels, also published by Panel Nine, and tap OK give your name and email address when subscribing. The deadline for entries is 7th September 2012 and the draw for the artwork will be held on 8th September in London, England.